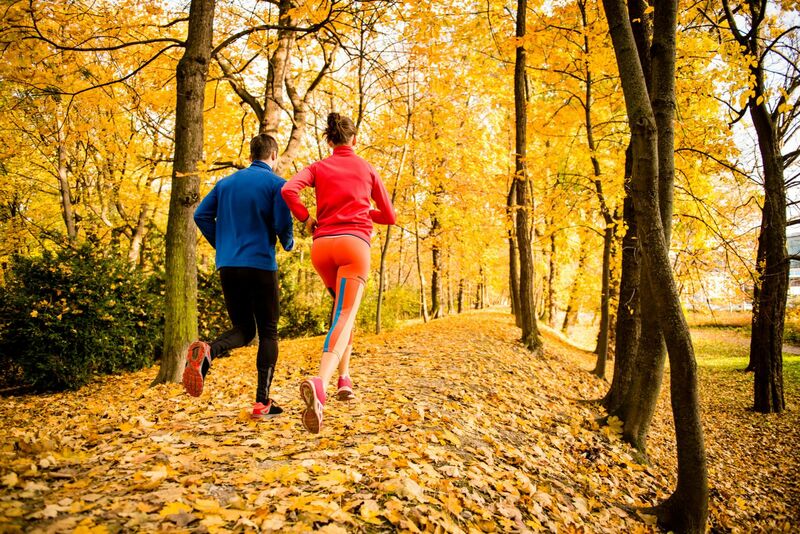 That being said, fall is a favorite season for many runners. Temperatures are cooler and it’s exciting to catch the breathtaking display of leaves changing colors along many local courses while training. At Martin Foot and Ankle, we want to make sure that you are able to enjoy a cool, scenic run without experiencing any pain. If you do have foot, ankle, knee, or even back pain, though, there’s a decent chance you could benefit from custom orthotics to get you back on the trails pain-free! When you experience pain or discomfort in your knees from running, but are not sure where it is coming from, take a look at your feet. If you have either high arches or flat feet—and a significant number of people have one or the other—the condition is going to affect your biomechanics (specifically, how you pronate) when you run. The good news about these arch issues is that we can likely help by prescribing orthotics! Everyone pronates. The term simply refers to the inward rolling motion of your foot that naturally occurs from your heel hitting the ground through the toes pushing off at the end of a step. Excessive rolling motion is overpronation. Insufficient pronation is supination. Either can cause painful problems! A pair of custom orthotics correct your biomechanics so your feet go through a proper rolling motion with every step you take. This will have a positive impact on how the rest of your body—including your knees and hips—moves when you walk and run. In turn, it also relieves lower back pain for some patients. In addition to correcting high or low arches, orthotics are used to treat a variety of other ailments, as well. So if you have Morton’s neuroma, plantar fasciitis, or even bunions, we may potentially treat these other conditions with the use of orthotics, too. Now, before you go out and purchase a pair of inserts from a department store, it is important to note that these shoe inserts themselves should not be viewed as a means of correcting a medical problem. Sure, they can offer additional arch support and cushioning, but they are not able to account for your unique foot structure and gait pattern. Instead of heading to the grocery store in search of medical care, come in and see our professionals here at Martin Foot and Ankle! If you need to schedule an appointment with any of our Pennsylvania offices, call us at (717) 757-3537 today. One of our doctors will make sure you have the proper equipment to get back on the running trails pain-free.